My taste for flavored teas has for the most part faded like a cheap rug in the sunlight. The reason is pretty simple but takes a bit of explaining and some examples. Once upon a time, Earl Grey was my favorite tea. I was gaga over it. Wouldn’t drink anything else. Then, I started branching out into other flavored teas. A spiced tea that folks in the U.S. call “chai” but that is more correctly called “masala chai” or “spiced tea” was the next one to grab my interest. It all started at an Indian restaurant. My love for curries, chutneys, and other Indian foods is by now well-known to everyone around me. A nice cup of masala chai seemed a natural beverage to have, therefore, with that spicy lamb vindaloo. Normally, I’d have a mango lassie, but it was a chilly day, so hot tea sounded better anyway. They all had one thing in common: they smothered the taste of the tea. Hubby and I began to wonder why we were even bothering with the tea part. Best to just have some straight infusions of whatever the flavorings were that had been added to those teas. This became increasingly important as soon as we tasted really good teas. Golden Bi Luo Chun and Ti Kuan Yin Iron Goddess were the first teas to show us what we were missing under all those flavors. Subtleties and nuances that changed with each infusion or even as the temperature of the liquid changed. Ever since, we have been on an exploratory journey, tastebud-wise, to find out more. Every now and then we have a flavored tea, but we quickly return to the straight kind. Ah! © Online Stores, Inc., and The English Tea Store Blog, 2009-2014. Unauthorized use and/or duplication of this material without express and written permission from this blog’s owner is strictly prohibited. Excerpts and links may be used, provided that full and clear credit is given to Online Stores, Inc., and The English Tea Store Blog with appropriate and specific direction to the original content. Reblogged this on Tea Blog. You’ve tried teas that I’ve never heard of. Some of those spiced teas are similar to adding black pepper to the drink. Most of the spiced teas are awful. I stick to black teas flavored with fruit. I’ve been sampling teas for 60 years. Gunpowder green is the only non fermented for me. I use tisanes for medicinal reasons. I sometimes sweeten black teas with fruit jams. Keep trying, in 60 years you’ll find the short list. Hubby and I are so entranced with the tea flavor that, except for the milk and sweetener we use in stronger black teas, we wouldn’t dream of clogging it with fruit even. There are rare exceptions, of course, but very rare. Me, too. For years I was intrigued. The flavors promised so much. A number of them, though, made me gag. 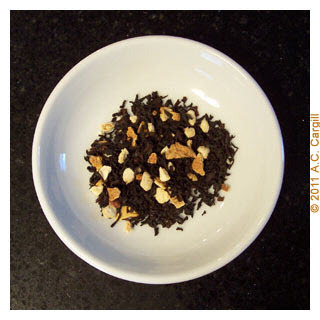 Earl Grey was my first and favorite, until I drank it once just before getting the stomach flu. I could not, uh, stomach it ever again. I have come to like my tea straight and black, don’t even want green, although I will enjoy oolong on occasion. LOL! Yes, trying to stomach something after making that mental connection with flu is tough! Stay well if you can!